College dumps you into a sea of exams, papers, homework, parties, clubs, classes and sports. Plus you’re probably living away from your parents for the first time. While the first year may seem like a whirlwind of fun, it’s easy to become overwhelmed with stress. Prospective students need to take their future well-being into consideration as they begin their search for universities. That’s right, we’re here today to school you on mental health resources for students. Many great colleges have made monumental strides against the stigmas of mental health and actively promote student wellness. The colleges doing the most for mental health awareness and advocacy offer helpful programs and organizations, emergency call services, CAPS and student counseling, fitness programs and peer education to make sure you feel supported in every way. 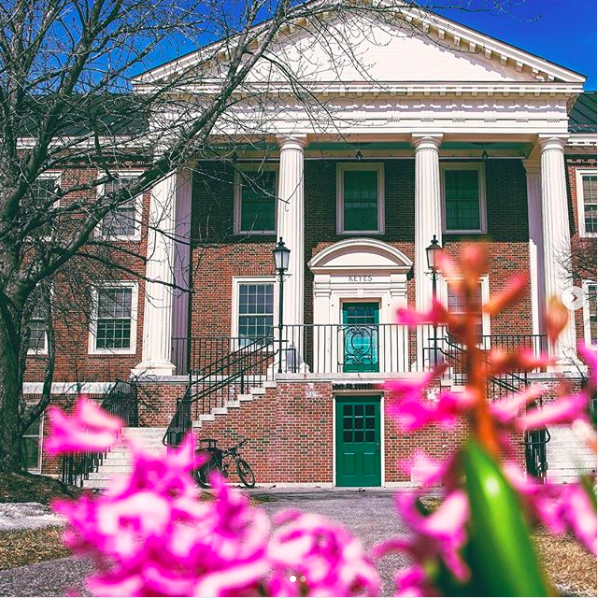 Keep reading for the top 10 colleges advocating for mental health awareness in the U.S.
Colby College’s lush nature enclosed campus may ease the mind but its efforts towards mental health awareness do even more. The Garrison-Foster Health Center provides students with expert counselors for those struggling with mental and nutritional health. But the counselors aren’t the only ones advocating for mental health awareness and support. 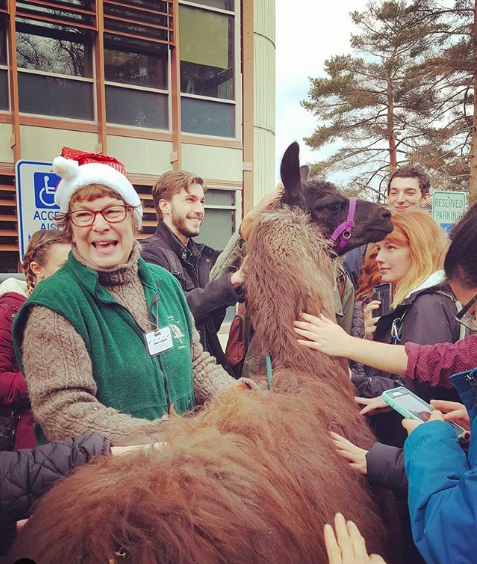 Many groups on campus like Student Health on Campus (SHOC) and Colby Outdoor Orientation Trips (COOT) foster support and social connections for the entire Colby student body. 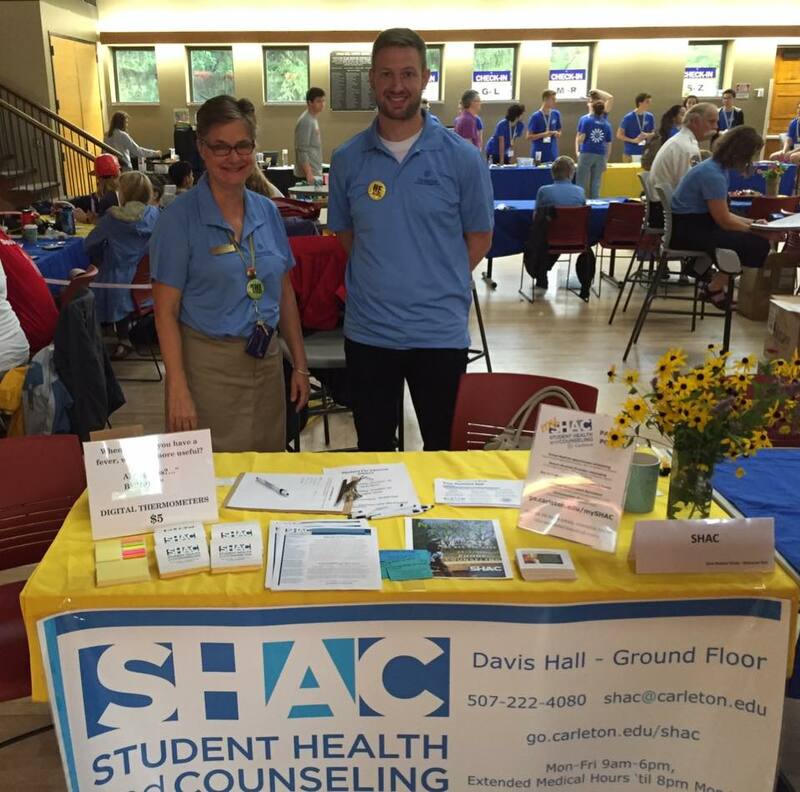 SHOC, a completely student run organization, holds interactive workshops that guide you through stress reduction exercises and wellness seminars. COOT provides opportunities to develop meaningful social connections while promoting a healthy lifestyle through outdoor fitness. What better way to connect with people than screaming your way down rushing rapids with a group of your peers or backpacking through the depths of the wilderness? Austin’s motto has always been “Keep Austin Weird.” However, UT’s strides towards mental health awareness seem to change the motto to “Keep Students Balanced.” UT-Austin not only places lots of counselors throughout campus, they also opened MindBody Labs in a number of campus facilities. These labs are resources designed to help students improve their emotional and physical health through self–paced guided exercises. The labs cater to all needs, such as meditation, sleep issues, nutritional issues and general well-being. If students face more severe issues regarding their mental health or well-being, the counseling center is ready with workshops, training, interventions and individual and group counseling. Prepare to dive into a world of freedom and creativity as you find your passions and find yourself when you commit to UT-Austin. 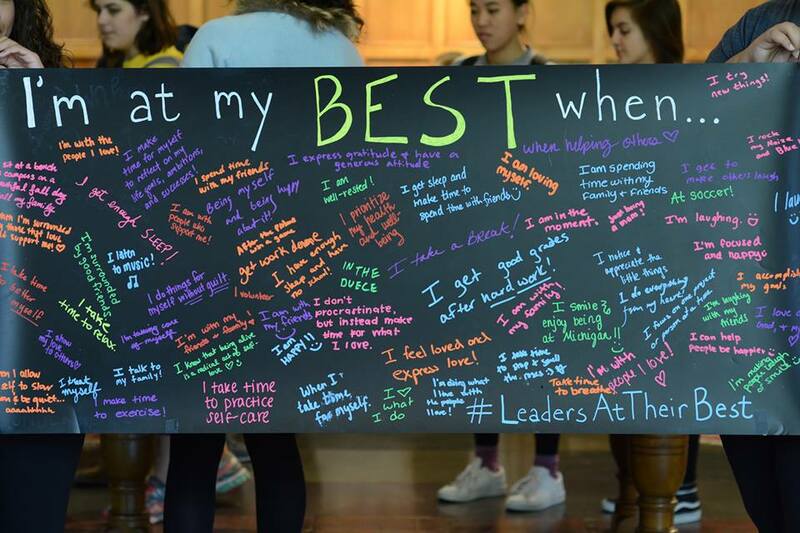 Carleton College cultivates creativity, compassion, depth and mental health awareness. Since Carleton College cares about the creative talent of its students, it provides a unique service for mental health intervention called light box therapy, specifically for those with seasonal affective disorder. Students loan a light box from the counseling center—free of charge—and take it home with them. You don’t need to stare directly at the light when you use it. You can read, eat and even study with it next to you. As long as your eyes are open around the light, you should feel relief in at least 30 minutes. The counseling center also offers a range of other creative therapy workshops groups. Students can participate in expressive art therapy, meditation, understanding self and Koru mindfulness. The college also provides several services for depression, anxiety, eating disorders and mood disorders. You can also enroll in MindBodySpirit classes. These special classes educate students on how to maintain a healthy lifestyle through guided lessons. As an artistic college, Carleton provides creative outlets for its students to focus on their health. It’s a small-town school with a big time focus on its students’ welfare. In the heart of the City of Brotherly Love, UPenn truly reflects its city’s idea through its love for students. UPenn created I CARE, a training program facilitated by the Professionals and Clinicians from the Counseling Center. I CARE relies on interactive activities to nurture student health and wellness. The program is not just for students, it’s also for faculty and staff. Participants learn the necessary skills to intervene with student stress, distress and crisis. The training covers things like listening and recognition of signs. Around 3,000 UPenn faculty, staff and students have gone through I CARE. Aside from I CARE, UPenn’s counseling center also provides much-needed care for students with one-on-one and group counseling, sexual trauma treatments and crisis intervention. UPenn welcomes you not just as a student of an institution, but as a member of a caring community. Duke does more than give its students an incredible education. Duke’s Health and Wellness Center (or DuWell) makes health, both physical and mental, an important aspect of its students’ lives. DuWell’s logo is a tree that symbolizes different aspects of DuWell’s core beliefs. The roots stand for values and choices, and the trunk represents self care. The branches that stem from the trunk focus on the more specific facets of health like mental, environmental, social and spiritual. The center also houses Moments of Mindfulness. 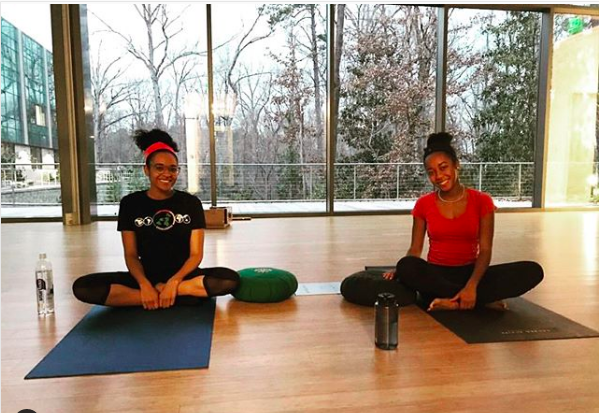 This organization, in partnership with Duke’s student government, offers the Duke community opportunities to relax, re-energize and recharge. To achieve this, they provide drum circles, guided meditations, Koru mindfulness, paint nights, tai chi, tea ceremonies, yoga and more. Ithaca College students ensure that there are always safe spaces for conversation and support on campus. Ithaca is also home to the oldest and largest chapter of Active Minds, a student-run organization that promotes a conversational safe space. Students hold “Speak Your Mind” panels for others to share their stories or the stories of family and friends. The panels occur several times a year and even visit classrooms to spread the word about mental health. Ithaca recently started a new service called “Let’s Talk.” It offers informal, confidential consultations with counselors right on campus. While “Let’s Talk” isn’t a substitute for formal counseling, it does give students a safe space for casual conversation about concerns, worries about academic performances, family problems and everything in between. For the students facing more serious concerns or feel the need to open up to a professional, the counseling center offers individual and group counseling and intervention services. Don’t let your emotions weigh you down every day. Ithaca helps you release those feelings you’ve held onto for years to give yourself a healthy, fresh start. MIT students basically live in an arena of rigorous academic competition. But MIT doesn’t want the competition to mess with their students’ well-being. What people don’t know is that MIT is also one of the leading colleges for mental health awareness. Students at MIT founded the MindHandHeart initiative which co-sponsors the annual Random Acts of Kindness Week (RAK). RAK holds events throughout the week that spark open conversations about student struggles and provide a community of support. 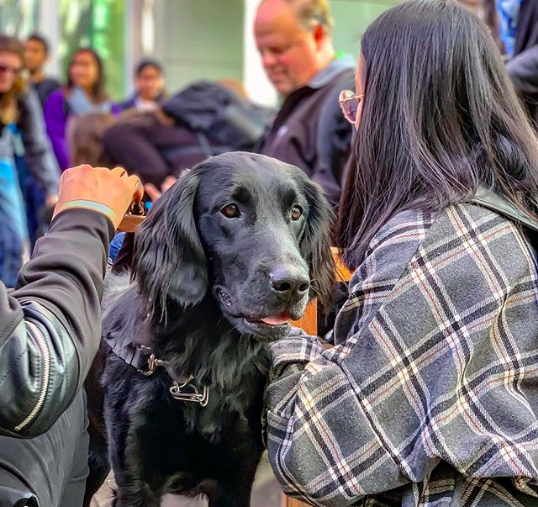 “We mainly want to make everyone’s day a little brighter during one of the toughest times of the academic year,” said RAK co-founder Bettina Arkhurt. 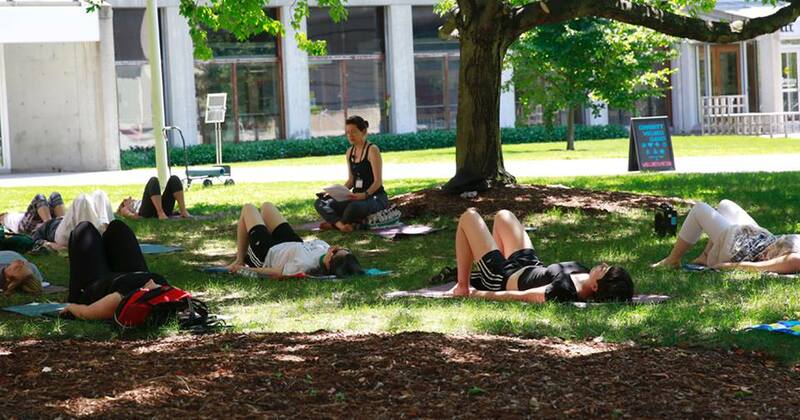 MIT creates a community dedicated to support of one another’s well-being. The medical branch at MIT offers classes through the Community Wellness program. The classes offered cover topics like Essentrics, CPR, new parenting, meditation, weight management and yoga. CAPS at Northwestern University hosts stress management workshops, meditation groups, mindfulness classes and much more if you just ask. Let’s Talk, a more casual program, allows students to drop in and chat with consultants about anything from relationship struggles to academic performance. If you think about it, you can talk about it. But not everyone feels ready to seek professional help. Northwestern still wants these students to feel supported with Breathe. Created for Northwestern graduates and undergraduates, Breathe is an online resource for stress management. Breathe provides guided meditations to reduce negative stressors and develop positive coping skills for everyday life. Northwestern makes sure its students’ moods don’t match the gloomy and cold Chicago weather. Bask in the Vitamin D that the California sun gives you almost every day. For more intentional resources, check out UC Davis’s mental health services. UC Davis recognizes everything wellness entails—both physical and mental. The Aggies changed the name of the Fitness and Wellness Center from FitWell to LiveWell to break the stigma that fitness only involves physical health. And that’s not the only stigma UC Davis works to break. The National Alliance on Mental Illness (NAMI) branch at the university also raises awareness surrounding mental health issues. They provide mental health first aid training that teaches students about different mental health disorders and how to recognize their symptoms. NAMI also hosts “In Your Own Voice,” inviting the community to share their experiences with mental health disorders. NAMI seeks to educate those who may not have a great understanding of mental health. They hold numerous public events that shine a light on what it really looks like. The university also has various health initiatives like Kitchen 101, Sharing the Love, Basking in Blue Light and more. Stepping foot onto UC’s campus allows you to join a health and wellness driven community where no topic is off limits. The Wolverine Support Network (WSN), an inclusive student organization, allows students to empower and support each other. The organization holds community events for students to learn more about mental and physical health in their daily lives. Leading by example, schools across the nation look to adopt the WSN model. Alongside WSN, another student run organization called PULSE, advocates for mental health awareness and social justice through planned events across campus. UM has a very student–forward approach to mental health awareness, plus it provides professional services. The counseling center offers counseling, workshops, a 24-hour phone service and a wellness zone. MiTalk, an online service, educates students about self-care without taking a physical, graded class. The UMich Wolverines pave the way for mental health services at universities all over the country.